On Friday, March 22, during Mass. at. 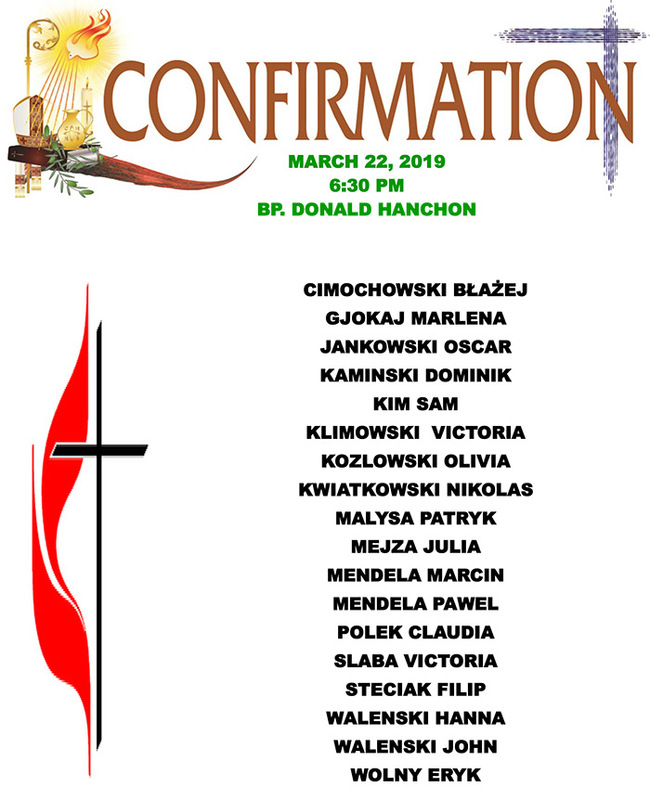 6:30 pm in the church of St. Floriana, a group of young people will receive the Sacrament of Confirmation from the hands of Fr. Bishop. Donald Hanchon. 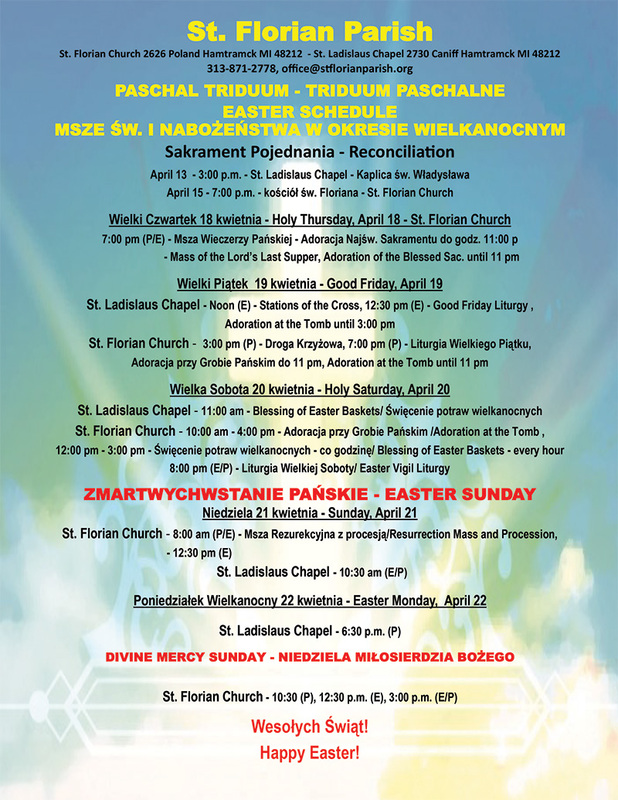 We will have our Lenten Reflection at the weekend masses March 30 and 31. Rev. 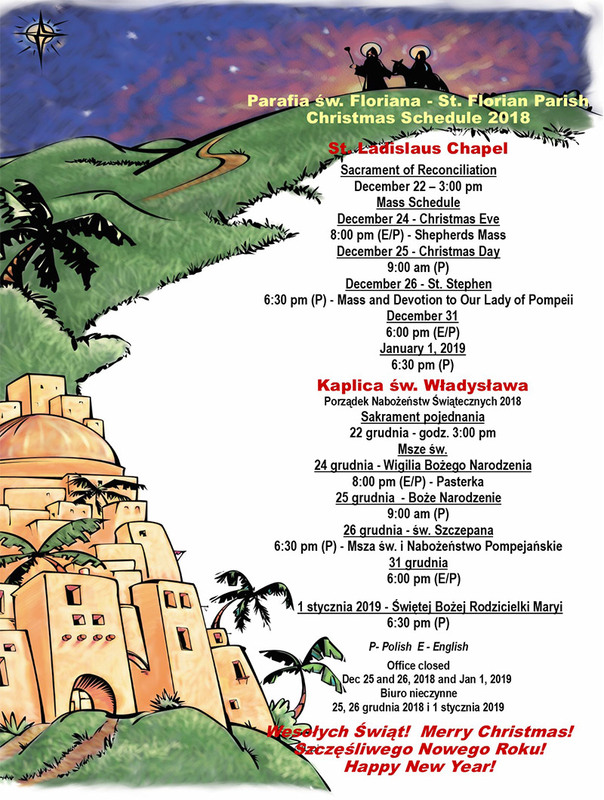 Przemyslaw Nowak will preside at those masses. 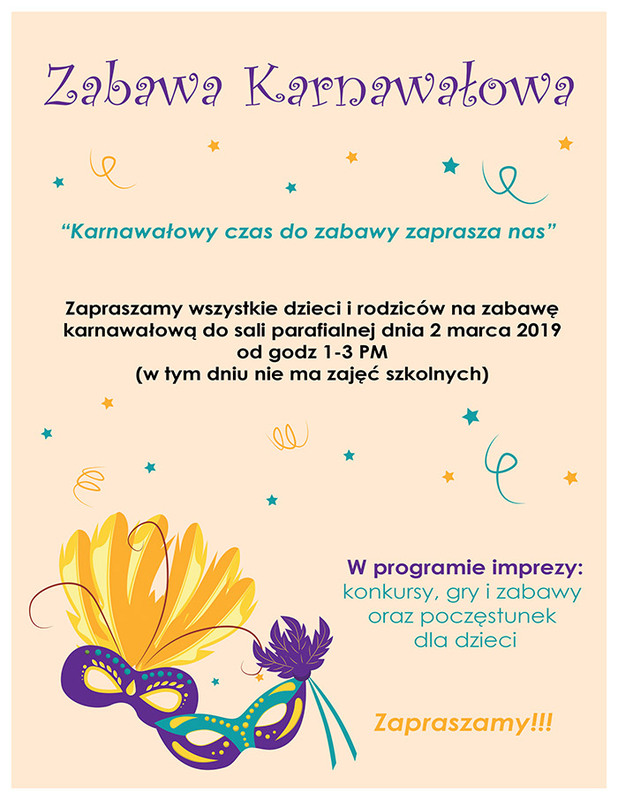 We invite all children and parents for a Mardi Gras party to the parish hall on March 2nd, 2019 from 1-3O p.m.
St. Florian Parish cordially invites you to our New Year’s Eve Party on December 31 in the Parish Church Hall from 7 pm to 2 am. 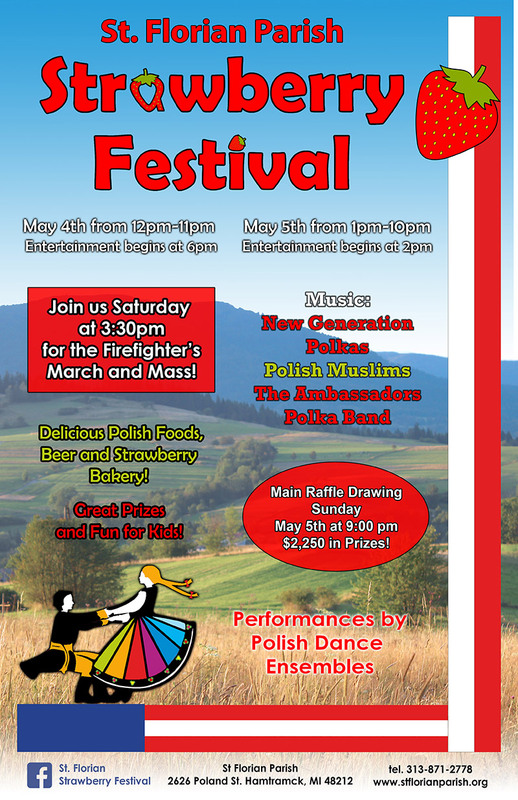 Tickets are $70.00 per person and includes appetizers, dinner and champagne (BYOB). 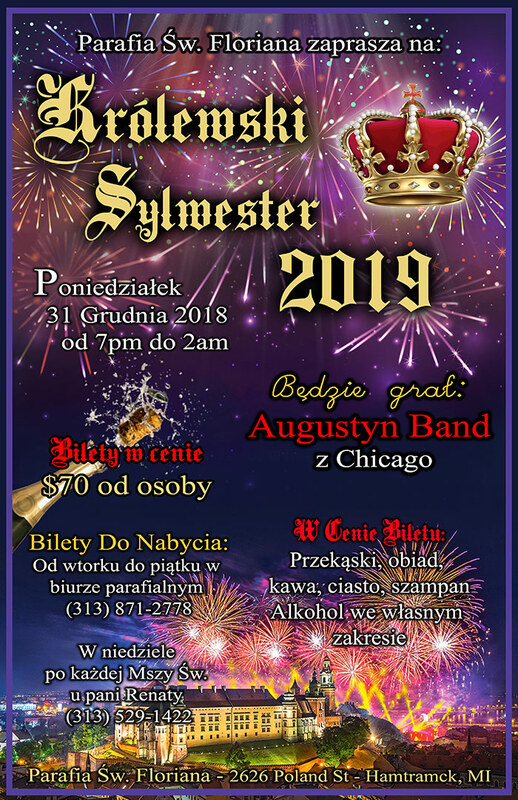 Music will be provided by the Augustyn Band from Chicago. 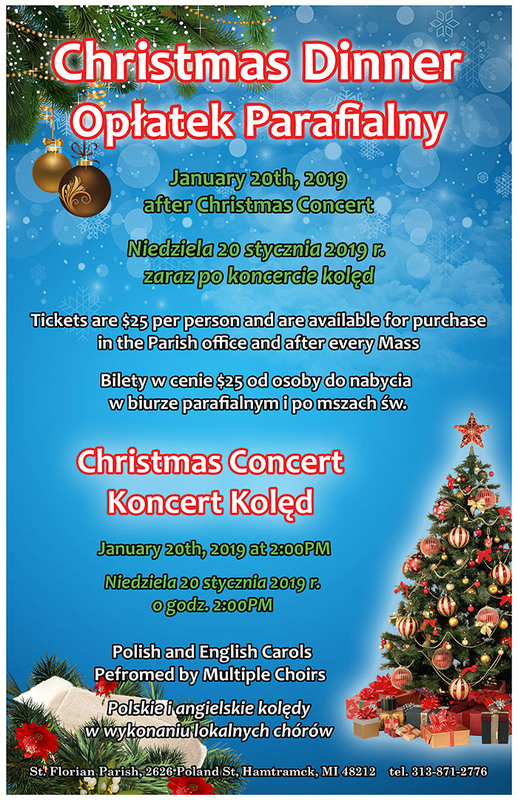 Tickets on sale after Sunday masses and at the Rectory during office hours Tuesday through Friday. 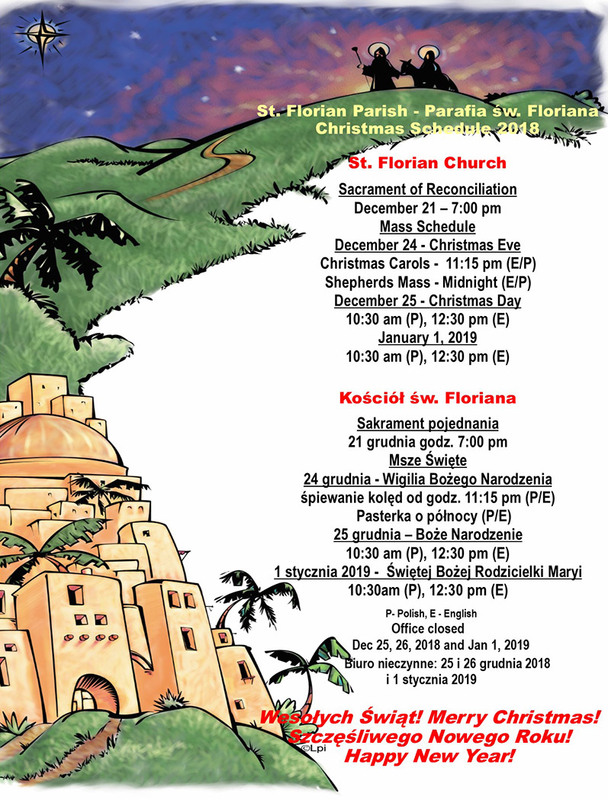 We the parishioners at Saint Florian Roman Catholic Parish, while preserving elements of our Polish heritage, serve Americans and immigrants of many ethnic backgrounds through prayer, example and good works. 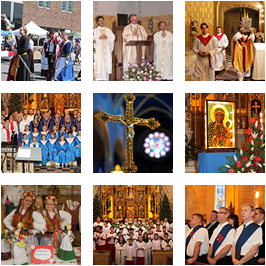 Through the spiritual and social activities of the Parish, we seek to be a beacon to all God’s people.